Why does our community need a health conference? 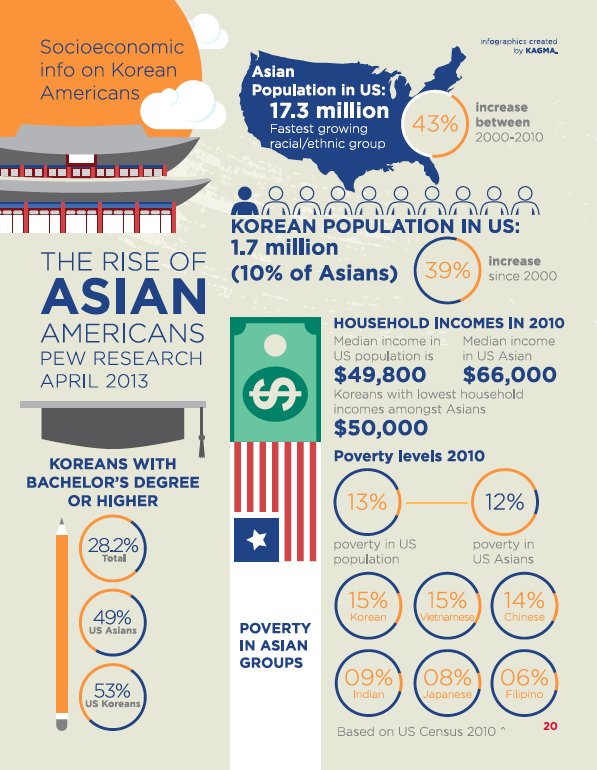 Currently many Korean Americans are well integrated into American society, but health care issues continue to persist that adversely affect our Korean American (KA) community. These health disparities are unique to and disproportionately affect KA’s due to cultural and language barriers, diet/nutrition, and genetics. Statistics show that KA’s suffer from chronic conditions including hepatitis, depression, diabetes, and hypertension. 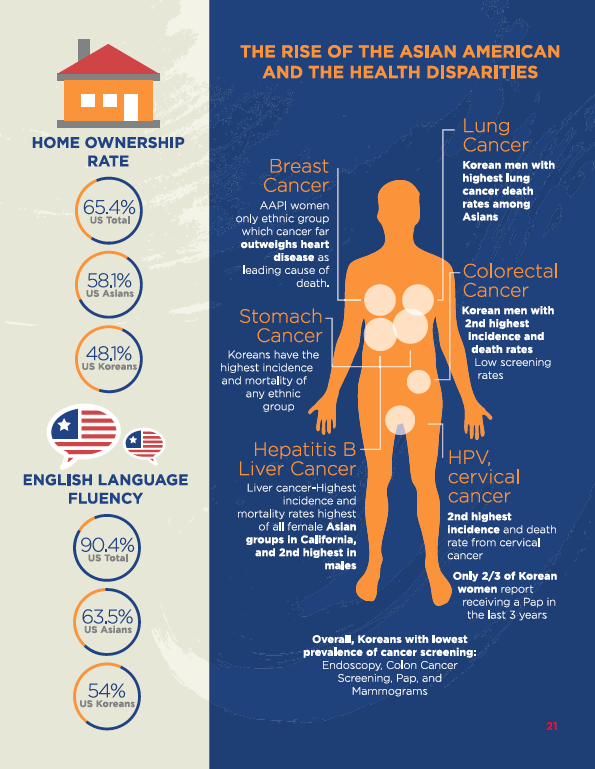 In addition, KA’s have some of the highest gastric, cervical, liver, and lung cancer rates, as well as the highest cancer mortality rates amongst Asian Americans. Many of these health conditions are preventable and can be nonfatal if detected and treated early. However, many KA’s lack health insurance (with the lowest insured rate and highest poverty levels amongst Asian Americans) and fail to receive the recommended preventive health screenings. With the progression and increasing presence of KA leaders and health care providers in American society, there is no reason why we cannot address and resolve these health issues.